JUSTIN TOAL is the Chief Investment Officer and a Senior Principal of Fifteen Group. Mr. Toal oversees the acquisition, development, repositioning, and management of the firm’s nationwide real estate investments. 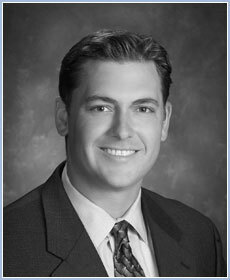 Prior to joining Fifteen Group, Justin served as President of TVT Partners, and was a Managing Partner at Simmons Vedder and Castle Hill Partners, where he opened the firm’s Florida office and supervised the underwriting of more than 700 market-rate and distressed assets, including loans, REO's, bonds, and debt portfolios. Previously, he was Vice President of Acquisitions for O’Connor Capital Partners in New York, covering major North American markets including Florida, New York, Washington D.C., Mexico City, Boston, Chicago, California, and Texas, and involved in the investment, management, and development of more than $2 billion of real estate transactions. Justin serves on the Alumni Board for the Columbia University Masters Program in Real Estate Development, from which he graduated with honors. He is also an advisor to the Real Estate Development program at the University of Miami, as well as a member of the Urban Land Institute.